Well•Spring, a single-site Life Plan Community, started out like many communities 25 years ago with relatively modest common areas—including a small multipurpose room, a single dining room, a very small bar, and a single arts and crafts room. 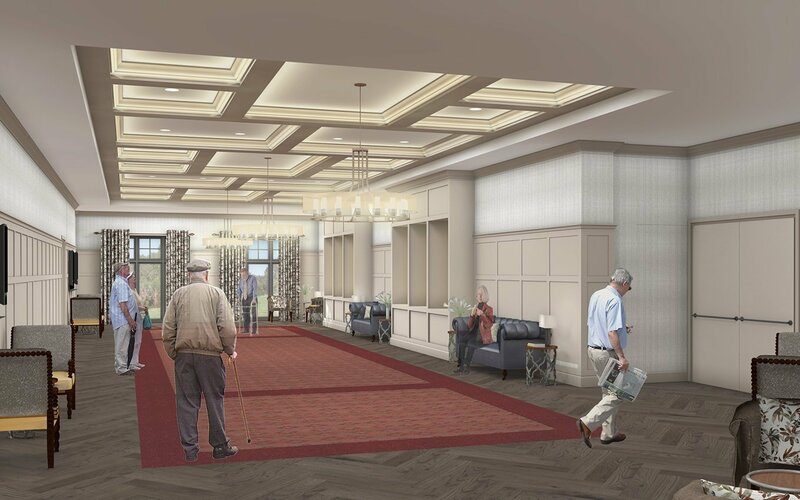 Well•Spring has experienced significant growth in its independent living population in recent years and felt it was time to for a major upgrade of community amenities. An extraordinary component of this expansion is a 338-seat auditorium designed specifically for seniors. Instead of the typical flat-floor multipurpose room, Well•Spring wanted a space where all members of the audience are able to see and hear as well as possible, and with the ambience of a high-quality performing arts venue. The design team – all experienced in designing spaces for performing arts – approached the design of this space with new eyes and new ways of thinking in order to tune it to this specific population. Using 3-dimensional modeling software, the team tested multiple options, incorporating input from Well•Spring leadership and staff throughout the study period. 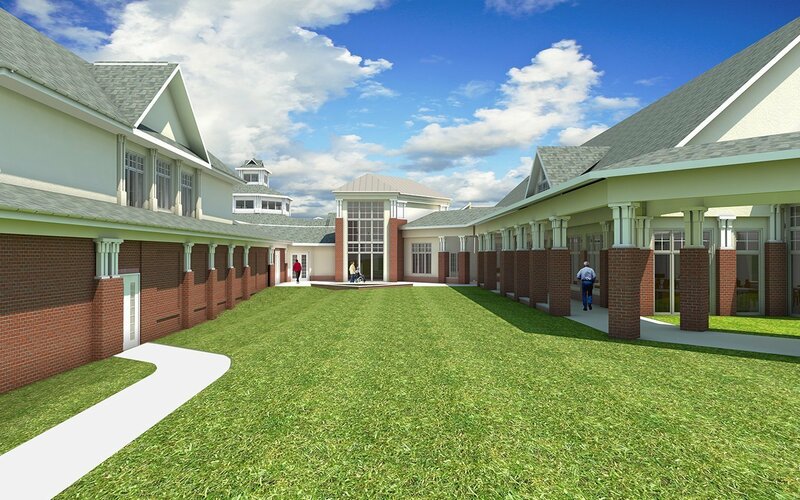 Ultimately, the plan can accommodate up to 63 wheelchairs. The slope and placement of wheelchair spots provide clear sightlines for those in wheelchairs as well as those sitting around and behind them. Acoustics and systems were specially designed to suit this population and its needs. 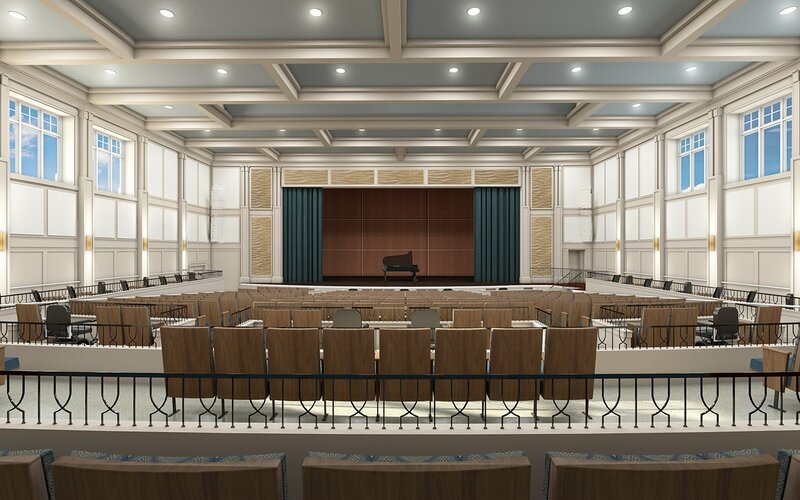 The theater will be a space where residents can participate in and attend memorial services, educational talks, performances, resident/staff meetings, and more. Site considerations dictated the theater be located on the same level as the primary dining and commons areas, leaving space below for resident activities including art studios and a wood-working shop. 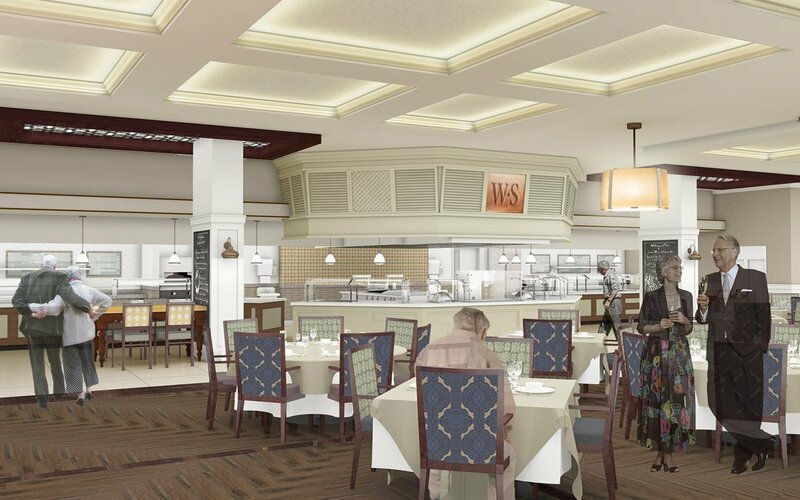 Another key part of the project is a re-envisioning of the community’s dining services. 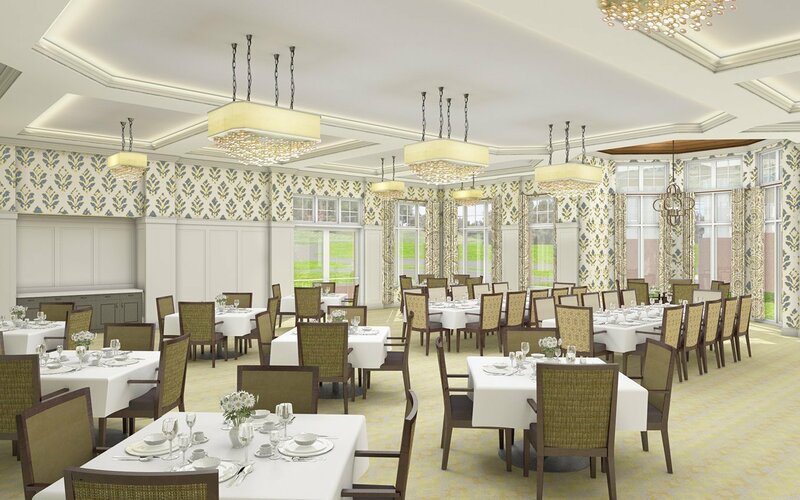 Where before there was one traditional dining room with wait service, Well•Spring will now add a bistro with an open kitchen and a market-stall service approach for casual dining. The bar will be relocated and expanded. Corridors and connections are opened up to facilitate flow and better accommodate a population with a range of mobility. A central open space becomes a landing spot, with lounge and casual seating so residents and guests can stop and linger.